This multifunctional space is situated close to Place des Arts in the dynamic Quartier des spectacles. 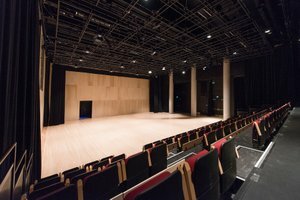 This large space is perfect for an art event, a press launch or a corporate event. With an elegant modular layout and its high ceilings this space is incredible. 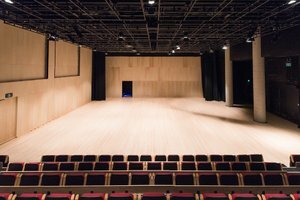 With retractable seating, the space can be configured for a large variety of events. The space comes with a contemporary café-bar and its glass walkway. 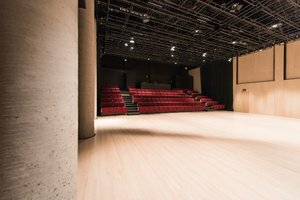 Located close to Rue Sainte-Catherine, this space benefits from high foot traffic and is ideal for creative professionals and fashion brands to create a one-of-a-kind event.